Welcome to Bin Park, DDS! We provide comprehensive and custom dental care to meet your needs. You are about to discover how you can have that perfect smile you have always dreamed of. 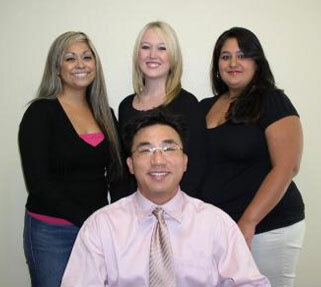 Our team at Bin Park, DDS specializes in general dentistry, cosmetic dentistry, and dental implants. We have the tools and the technology to improve your smile—easily and comfortably. Because beautiful smiles start with healthy gums and teeth, you can trust Dr. Bin Ho Park to help you look and feel your best. We have a complete commitment to provide fine general dentistry, and cosmetic dentistry in Corona, California, and the surrounding areas of Norco, Eastvale, and Riverside, California. We can ensure that you will not have to wait for emergencies, and we also provide affordable dental care by accepting most insurance plans and offering payment plans. To learn more about our team and the dental services we provide, we invite you to continue to browse our website and give us a call. We are here to help you on the dental journey that ends in your perfect smile, and we look forward to working with you! “Thank you and your team for providing such great customer/patient service. Additionally, please know that I truly appreciate your detail oriented nature. You strive for excellence and deliver!